Miltons has been clothing the men (and now boys) of New England for more than 60 years. For the second time in 15 years, Kaplan and Miltons collaborated on a major construction project at the well-known retail shop along the busy Chestnut Hill stretch of Route 9, wrapping up in time for the 2013 holiday season. Working on an accelerated, phased work schedule, Kaplan performed and completed work on two new additions without interruption to Miltons’ operations. The additions include a two-story, steel frame and glass façade entrance and new display windows. 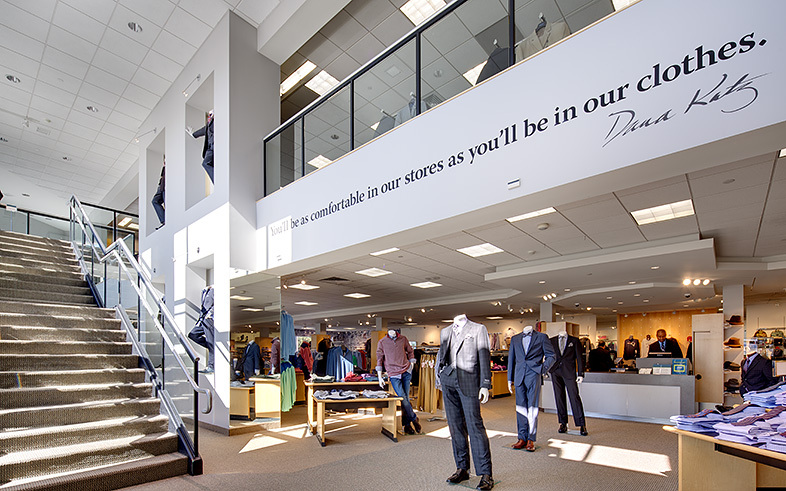 A second, two-story addition was constructed to house new fitting rooms and a customer lounge area, as well as stock and display space. 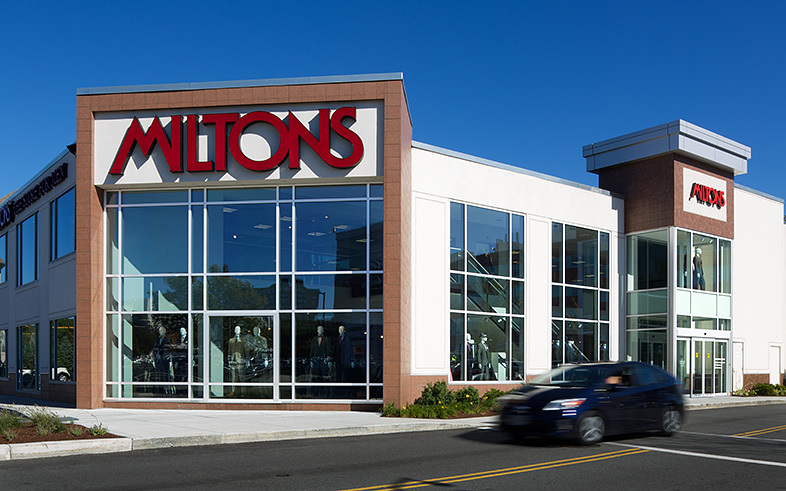 Our new glass-fronted entryway will serve as a wonderful showcase for Miltons clothing throughout the year, as the exciting retail developments continue to ramp up at Chestnut Hill Square.